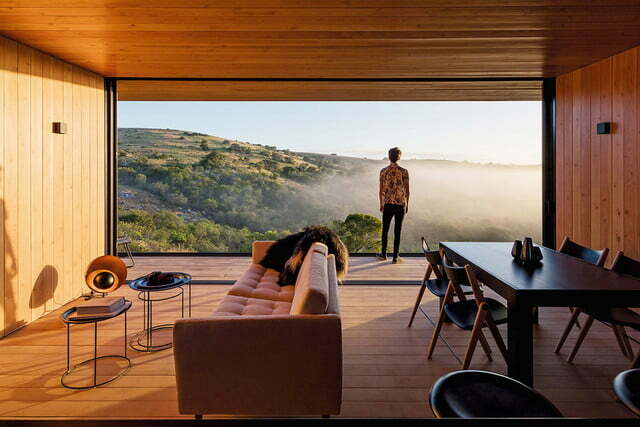 The budding industry of prefabricated homes has recently seen a welcome jolt of popularity, thanks to the structures’ minimal impact on the environment and the fact they are just downright unique. 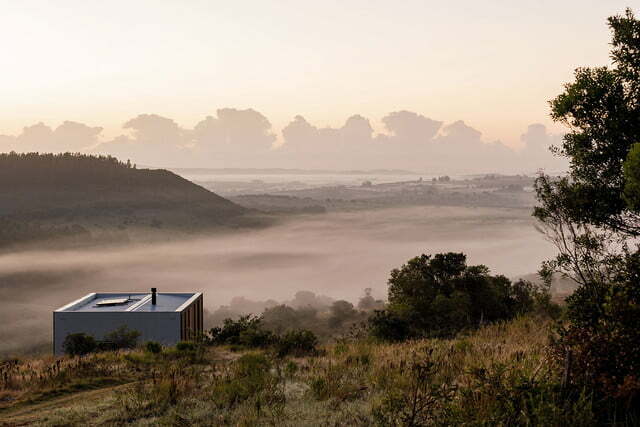 In yet another addition to this emerging housing practice, the South American architecture studio MAPA Architects recently unveiled a perfectly simple and beautiful prefabricated home, called Retreat in Finca Aguy. Spanning just over 1,200 sq. 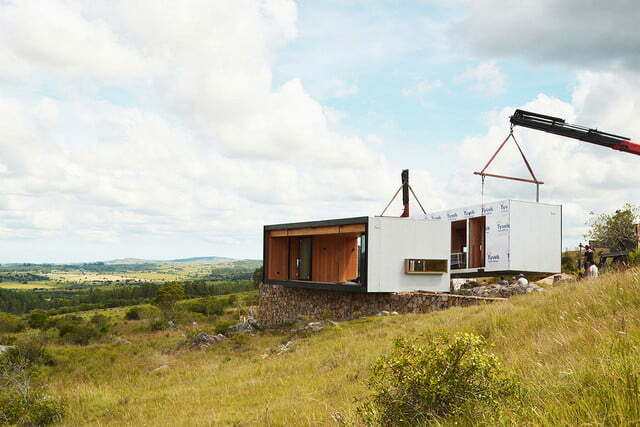 ft., Retreat in Finca Aguy is minimalism at its best and a true testament to the advantages of prefab homes. Primary construction of the house took place at a factory in the Uruguayan capital of Montevideo, in which two different rectangular modules were built separately. 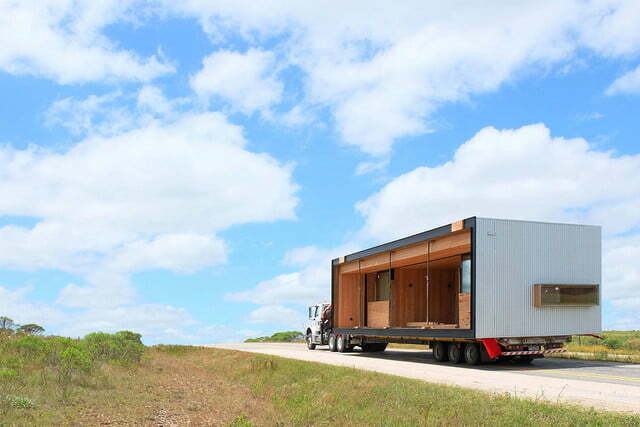 Measuring roughly 41 feet in length, the modules were outfitted to contain the home’s living room, kitchen, bedroom, bathroom, and closets. 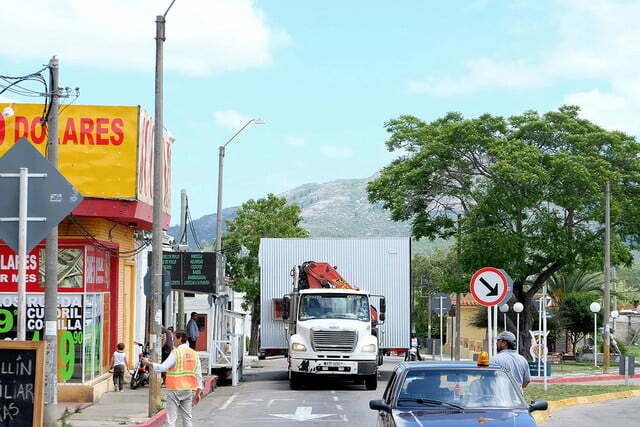 Once each piece was finished at the offsite factory, a transport truck delivered the home — still in two pieces — some 124 miles from outside Montevideo to Pueblo Eden. 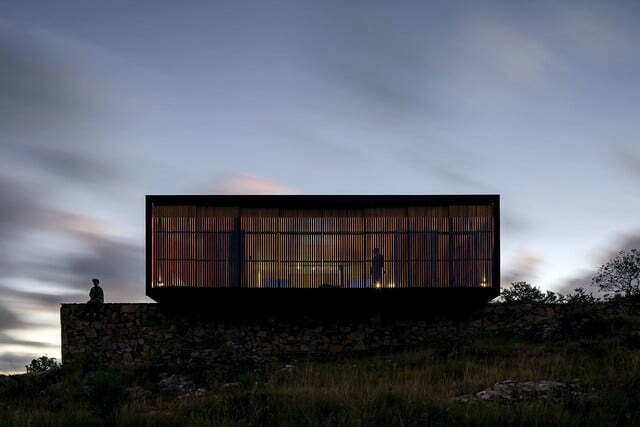 Upon arriving at the desired plot of land, the crew attached each module together and set one end of the home on a pair of conjoined stone walls. Aside from its miniscule impact on the surrounding environment, Retreat in Finca Aguy looks like it belongs in Pueblo Eden. 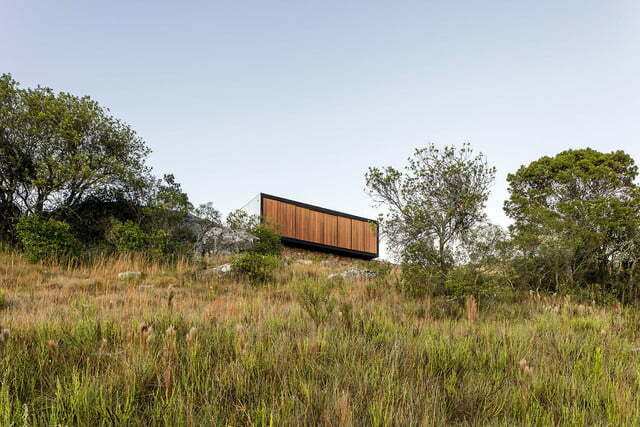 Set against a grassy knoll and the aforementioned stone walls, the abode fits perfectly into its rustic neighborhood. 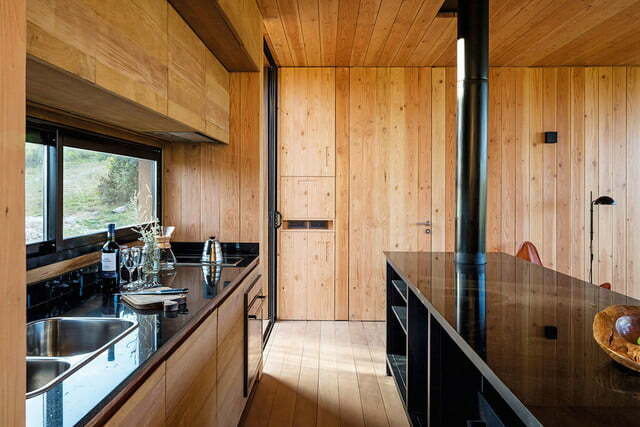 Featuring a timber-clad interior — walls, ceiling, flooring, etc. — MAPA also outfits the retreat with contrasting black countertops and furnishings to give it a comfortably modern look and feel. 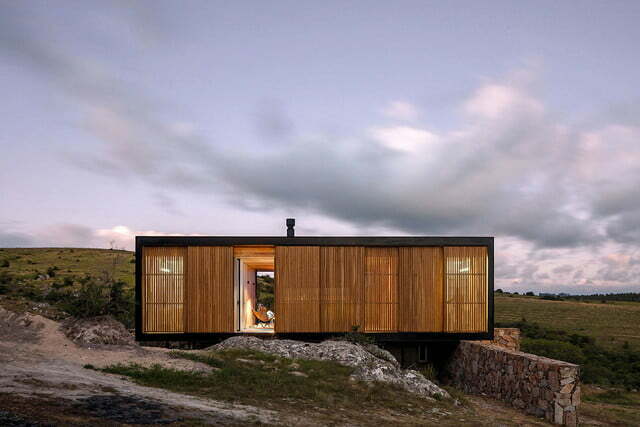 Retreat in Finca Aguy has aesthetics in spades, no doubt, but the architecture firm responsible for building the home also made it a breeze to deconstruct and move without further harming the environment. By limiting the amount of on-site construction work, this prefabricated home exemplifies sustainability while remaining flexible. 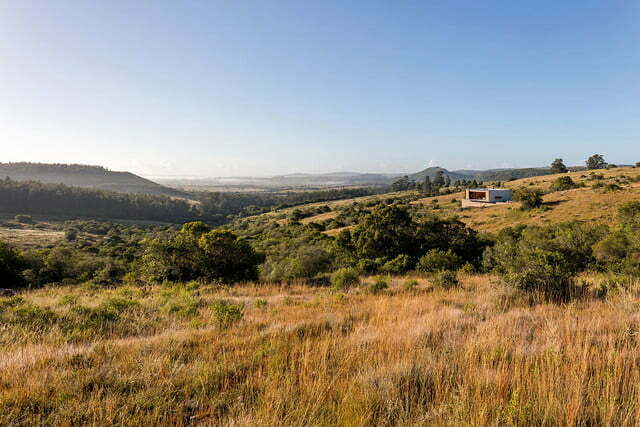 A Uruguayan wonder, Retreat in Finca Aguy is as beautiful as it is practical.